• There are 137 luxurious rooms and suites. • A terrace, a sauna, a fitness center, a spa, a massage room, a hot tub, a Turkish bath/steam, an indoor pool, a bicycle rental and a casino. 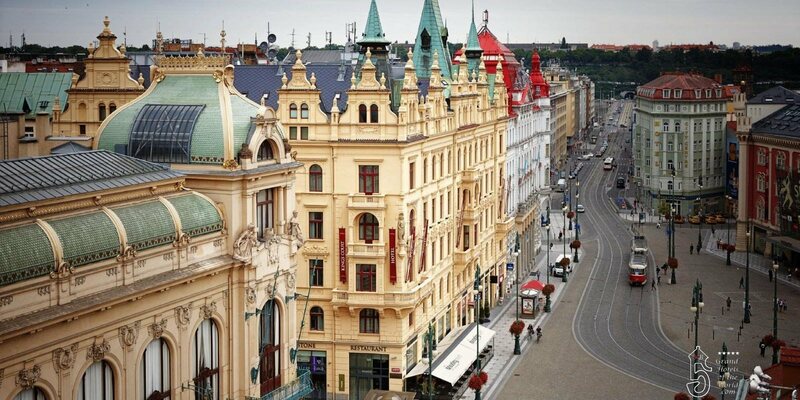 • Hotel Kings Court is located next to the Art Nouveau-style Municipal House and the elegant Na Prikope shopping street. • 19-th century: The Castle was build. In recent years, been restored and expanded and is now a five star hotel which is popular for weddings.